"We did 22 food tastings, kept eating and hitting the gym," says Ranveer Singh on how he planned the wedding with Deepika Padukone! Deepika Padukone and Ranveer Singh have been giving us couple goals since the time they got married and HOW. They had a beautiful and intimate wedding with just close friends and family and won the country’s heart as they shared their wedding pictures themselves! 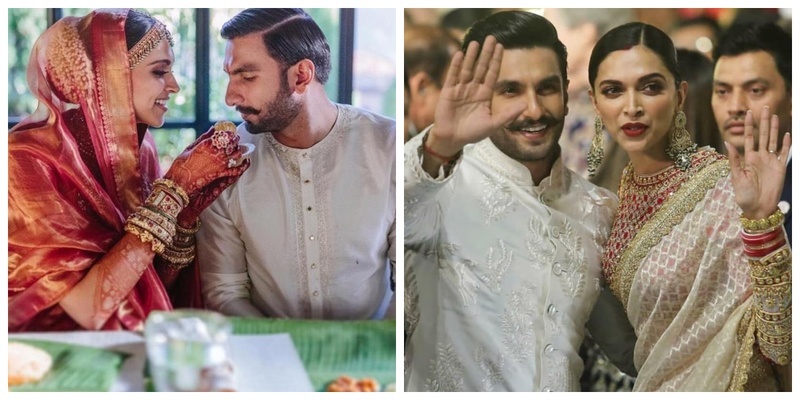 While I was just recovering Ranveer went ahead and spoke about his relationship with his now wife and how he had already proposed to her three years back - it all boils down to true love. And while promoting his upcoming film Simmba, he talked about all the behind the scene things about the wedding buffet planning as a couple, while they were inching towards their big day. Ranveer in conversation about Deepika taking full control of the wedding planning affair said, “My dharampatni (Deepika Padukone), her planning is too detailed. We did some 22 tastings and kept eating and hitting the gym for various receptions." According to a statement by Foodlink, the official caterers, the couple went for Indian, Chinese, Barbeque and Kebabs, Chaat and Street food for their Mehndi and Sangeet functions. Considering the variety and the taste, we're not surprised that they had to do so many tastings to ensure everything was top notch. Well well, here’s wishing this couple a lifetime of togetherness!